When your schedule is complete you can publish it to all staff with a single click. Employees receive mobile notifications enabling them to view their schedules instantly, see any changes as they are made, and to even collaborate on their shifts from the 24/7 convenience of their mobile device. One click to publish any schedule to all employees, notifying them wherever they are. If any schedules are published or changes are made, alerts can be sent directly to those employees affected, ensuring they receive the maximum possible notice. Managers can publish additional shifts, for example when new shifts become available due to employee sickness or absence, and available employees can respond via their mobile device accepting or declining the extra work. 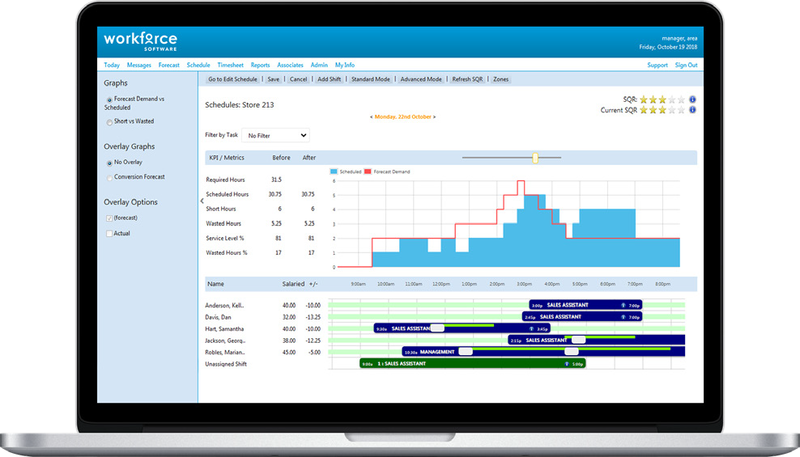 At any time employees can view schedule changes, check who they will be working with, set availability and offer to work extra hours all via their own mobile and all in real-time. Our workforce scheduling mobile app is available for iOS and android devices and can also be accessed via any browser which supports HTML5. Employee and schedule data is secure whether being accessed on work mobiles or on the employees own devices.